Debbie specialises in naked Raku, a Japanese fast firing technique. 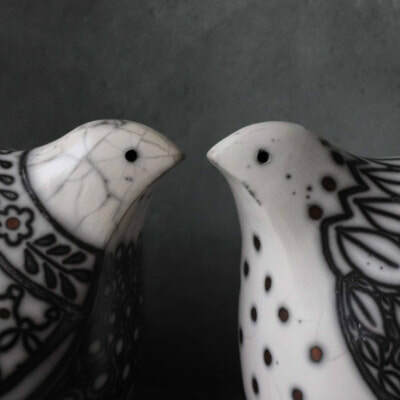 Debbie draws intricate patterns though a slip and glaze resist. After firing the resist is removed to reveal the beautiful smoke patterning. 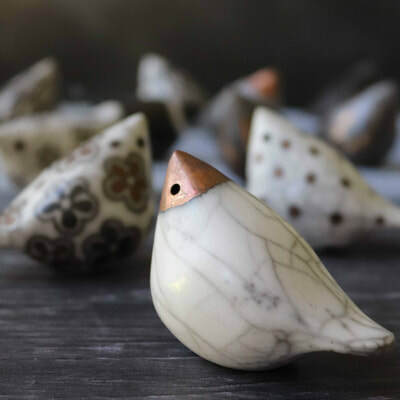 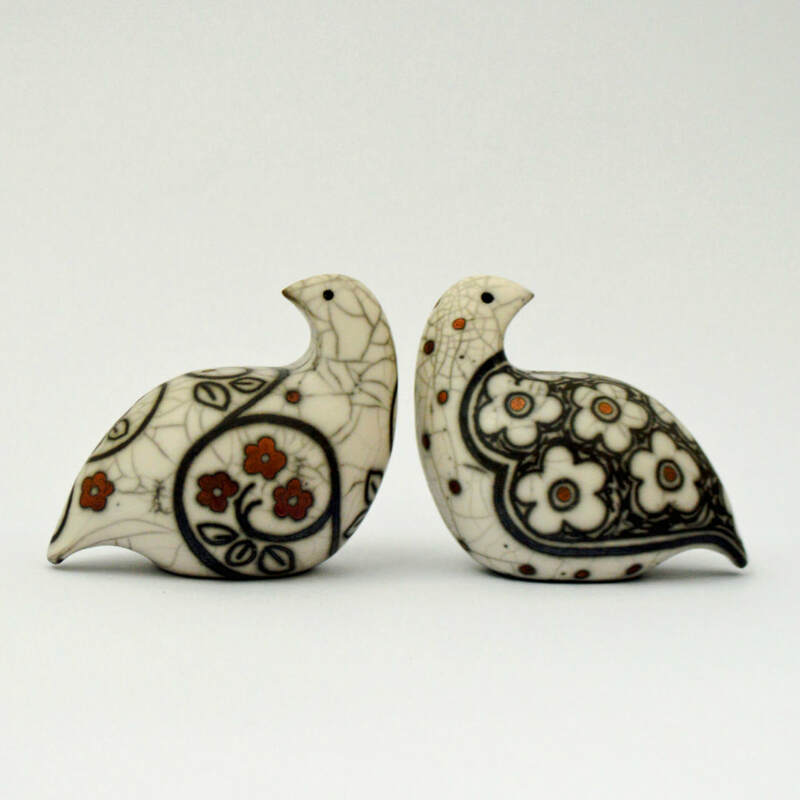 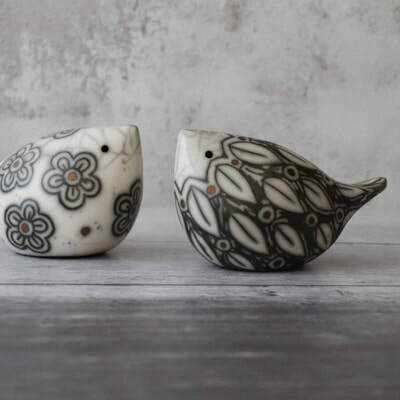 Inspiration is drawn from nature, flowers and leaves adorn bird forms creating decorative small sculptural forms.